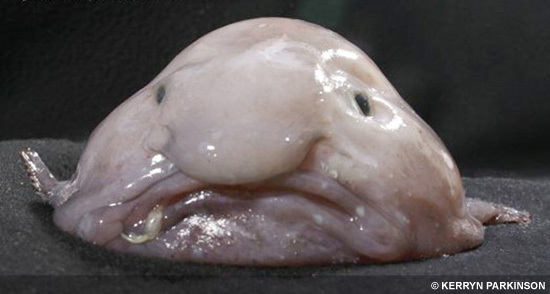 Blobfish live in the ocean. They live in the deep sea. Blobfish spend a lot of time on the ocean floor. They live off the coasts of mainland Australia, in Tasmania. Blobfish can also live in New Zealand. Blobfish help the environment because they eat bacteria. Sometimes bacteria can be good, but sometimes it can be bad. Blobfish eat the bad bacteria that can make us really sick. Blobfish can be pretty weird. Blobfish look like big, pink and white wads of bubble gum. Blobfish have a really big nose, and have a huge frown. They have tiny black eyes. They are usually about 15-20 pounds. Blobfish are 2-3 feet long. 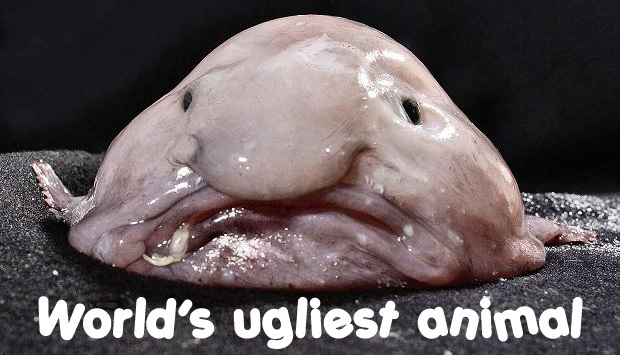 Blobfish are endangered because of trawling. 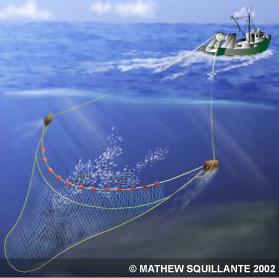 Trawling is kind of like fishing. It’s when you put a large net underwater, and scoop up a bunch of fish. Blobfish often get stuck in the nets. That’s what’s making them almost extinct. If a blobfish is accidentally caught in the net, the trawler is to put it back into the water immediately. 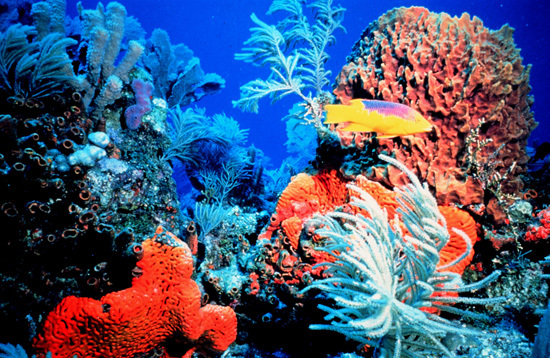 In order to save these creatures we would have to ban trawling, but that law has not been passed yet. It’s really hard for blobfish to survive because they don’t have any muscles to move away from the net. Blobfish would be extinct if they were not inedible. Humans can’t eat blobfish because they are poisonous. FoPAAS’s note: Please email us at support@pafriends.org in case of any copyright infringement and we will remove your copyrighted image immediately. This post was done for a school project by our beloved young writer and rising star, Harmony, and we try to keep her work as authentic as possible. Its a shame she is wrong. The conservation status of the blobfish has still yet to be classified so its not endangered and they dont look like bubblegum with frowns and a big nose unless you rip them out of their natural environment and subject them to decompression damage. I learned a lot about the Blobfish from this excellent report! I’d seen photos of it before but had no idea where it lives, what it eats, and whether it’s endangered. Great article, Harmony! But bobfish is so beautiful!! !